Sugar drink-loving shoppers hoping to see the Coca Cola truck in Liverpool One were left disappointed last night, as they were told it was the Pepsi truck instead. Shoppers queued for hours to see the famed red and white decorated Coca Cola truck, and to listen to a rendition of The Holidays Are Coming, before having their picture taken next to a mobile advertisement. 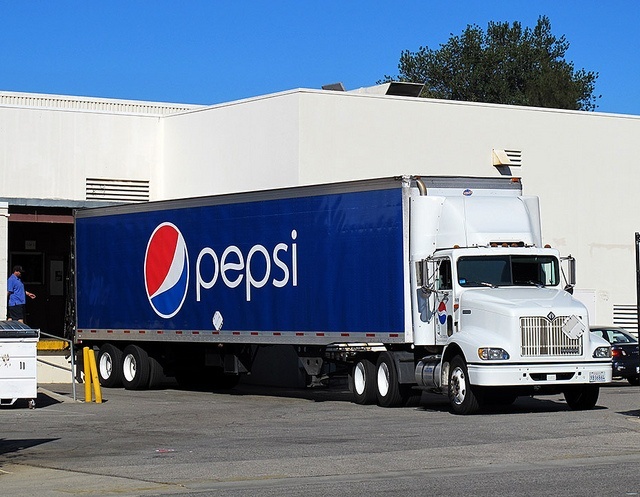 However they were left angry and frustrated when they were informed the gassy, sugary drink logo emblazoned on the side of the truck was for a different gassy, sugary drink than the one they expected. The overriding emotions of joy and good will gave way to wrath and petulance as shoppers were informed they had completely wasted their time queuing for the wrong truck. James Anderson, from Chester, travelled with his wife and two children to see the Coca Cola truck and he was fuming. It’s bloody disgusting is what it is. My kids have queued to see the Coca Cola truck, not some lorry transporting soft drinks. What a waste of an evening. There’s been a big misunderstanding. When we announced the Coke truck was coming we meant Pepsi. Nobody actually says Pepsi though, do they? It’s always ‘I’ll have a Coke’ – even when it’s Pepsi. I don’t get the big deal really. Shoppers in Ellesmere Port were able to see the real Coca Cola truck this week at Cheshire Oaks however, when a new date was added to its schedule as reported by the Bugle in November.